The GR10G is a medium sized tube manufactured by ETL. It is unusual in that there is no solid back to the tube, so the digits can be viewed all the way around. 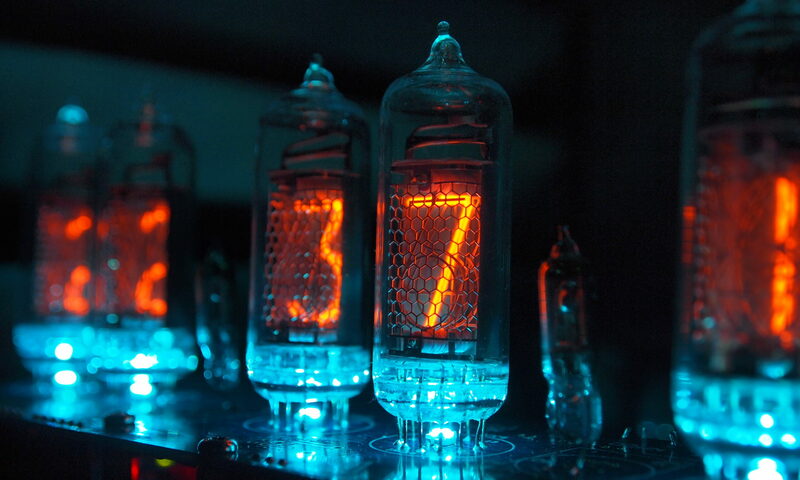 This is the GR10W digitron - a medium-sized nixie tube by the English company ETL. Like its bigger brother the GR10G, this tube has a 360 degree anode mesh with no solid backing. Also like its brother, it has unusually high voltage and current requirements.